My African American friend Craig Harris, in his 1993 essay about the quality of his remaining life with HIV titled I’m Going Out Like A F*ing Meteor, reflected on the power of language. His title is language borrowed from Caribbean-American writer Audre Lorde’s vow in A Burst of Light, five years earlier, with respect to her own death from cancer. Before Denise Belfon’s use of language interrupted my plans last week (she called last Sunday, by the way, but there was no fluency, and she hung up before we could convince each other of much), I’d been planning to talk about the Minister of Education’s language policy. Our local analogue of Craig’s “Afro” (or what the Oakland school board made itself a laughingstock for labelling Ebonics) is what linguists call Creole, others nation language or the demotic, and yet others Trini talk. It was once considered unworthy of places of education. Viewed as “broken” English, it was regarded as coarse, vulgar language you might get a beating from a teacher for using, back in the aeon when Minister Garcia was in short pants. “Anglo” was the language of civilisation, erudition and the classroom. With independence and the popularisation of sociolinguistic scholarship, we’ve changed views radically on this. Most educators and many of the educated now recognise that Trinbagonians grow up with access to more than one “sociolect” in which to make meaning; and that Creole is something that belongs in our classroom literature texts and students’ creative work, and offers us ways to express experience and emotion in which business or standard English would utterly fail. While English remains the language of instruction in which all students are expected to be competent, no one thinks twice about students’ and teachers’ school use of Creole to communicate in all sorts of ways. But there’s another kind of language that by policy retains the status once suffered by our nation language. It’s not exactly Craig’s “Homo,” but it’s similarly colourful. Its use by our Prime Minister is the legend of teacups. It appears in every public library reference dictionary, and peppers the pages of many modern works of literature (Harris and Lorde’s titles used no asterisks). It is to be heard on virtually every street and youthful sports field in the nation. Nonetheless, its street use or its utterance “in a place to which the public is admitted or has access” is criminalised with a $200 penalty or three-month jail term under section 49 of that compendium of common-senseless vagrancy laws called the Summary Offences Act. Ask Larry Achong. Its use on stage or in the recording or performance of a song is additionally criminalised under section 51, with a fine double the last one. 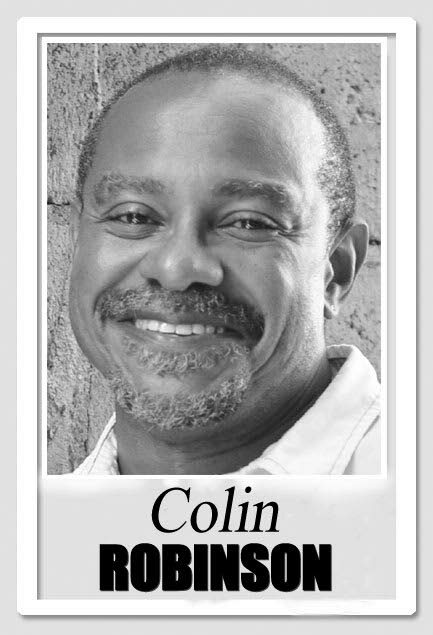 Ask the actors in one of the late Godfrey Sealy's plays. Garcia was recently so aggrieved to hear such language used by students in a video shot on a school compound — at least one demonstrating considerable linguistic virtuosity — that he approved the suspension of five of them in it. Few of us want profanity to be acceptable usage everywhere. Any more than we want people going to funerals bare backed or serving our food with no pants on. No one wants to admit, either, that schoolchildren cuss like adults once teachers are not around, and more quietly when they are. But it’s time to revisit whether any more interest is served in jailing adults for profanity than it does for a spliff; or in suspending students when their language is neither disrupting learning nor insulting an authority figure. Part of schools’ preparation of young people for life is in language skills, among them understanding socially appropriate use of words, when and with whom. I don’t know how those lessons merit the indignation Garcia expressed, or removal from school for mere utterance of a word. We need — and we are beginning — to have robust debates about language and the law in other ways as well — about criminalisation of speech that dehumanises, about how our schools teach children the language and action of humanising each other. Whether we enforce laws in that same Act as well as 21st-century ones that make language which promotes hate and incites violence — for any reason — illegal. Where we draw the line. When speech ought to be regulated by law, and when by culture.